In a recent press conference for a Russian developer “Innova” it is launching, in partnership with 343i, Saber Interactive, and Microsoft, Halo Online. 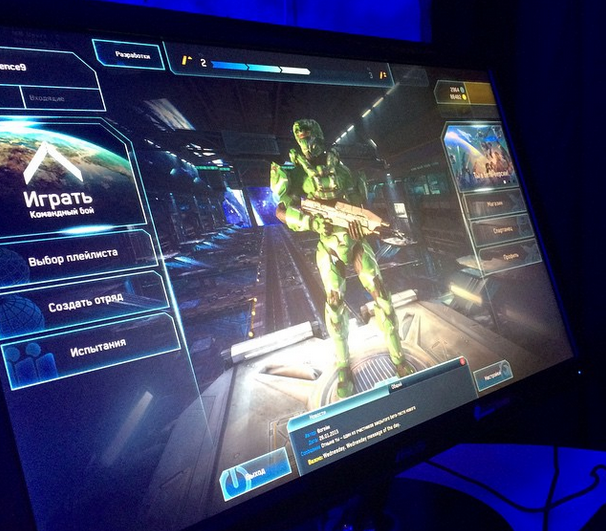 HO will be a free to play multiplayer shooter for the PC, exclusively in Russia for the time being. Above is what appears to be an early build of the interface. Which is reportedly being run off the H3 engine. Where as the source says it’s a multiplayer experience, it also states that the events of the story take place in the time period between H3 and H4. Visually running off the H3 engine, the interface seems very H4-esque. Nothing is laid out in the article, and as far as I can tell there hasn’t been any confirmation from Microsoft or 343i. This is really interesting as 343i has said that they had no plans to port a title over, but a new title with development from another studio was never implicitly stated as false. Hopefully this will eventually make it to the US, but I’m glad that Halo will possibly be back on the PC. Being on two different platforms in this setting would be awesome for the overall growth of the franchise.